Gap Inc. Recognized In 2019 Bloomberg Gender-Equality Index For Continued Commitment To Advancing Wo | Gap Inc.
At Gap Inc., women have been at the leadership table since day one. When Doris and Don opened the first Gap store in 1969, they contributed the same amount of money to start the company and ran the business together. Our commitment to equality began with our co-founders, and continues to be a cornerstone of our company today. As a company working for a more equal, diverse and inclusive future for all, we’re proud to be included in the 2019 Bloomberg Gender-Equality Index for the second consecutive year. Bloomberg listed Gap Inc. as one of 230 global companies committed to transparency in gender reporting and advancing women’s equality. We could not succeed as a company without exceptional people who make our company what it is today. From championing gender equality by being the first Fortune 500 company to validate equal pay for equal work, expanding diverse hiring programs like This Way Ahead, and promoting equal rights and fair treatment around the world, we’re doing our part to not only make changes across our company, but within our industry. 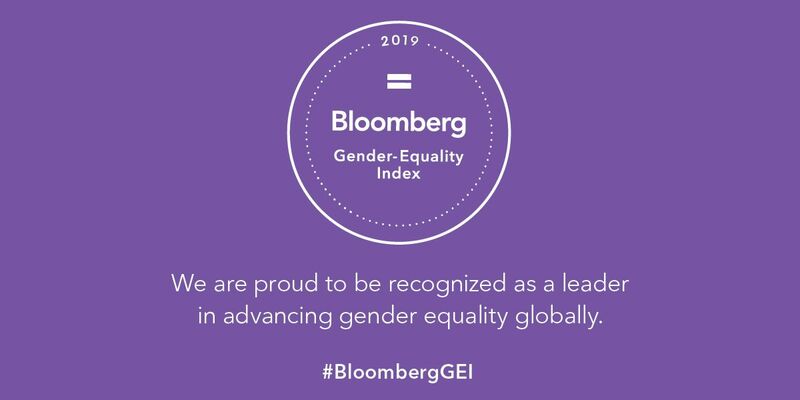 Read more about 2019 Bloomberg Gender-Equality Index.